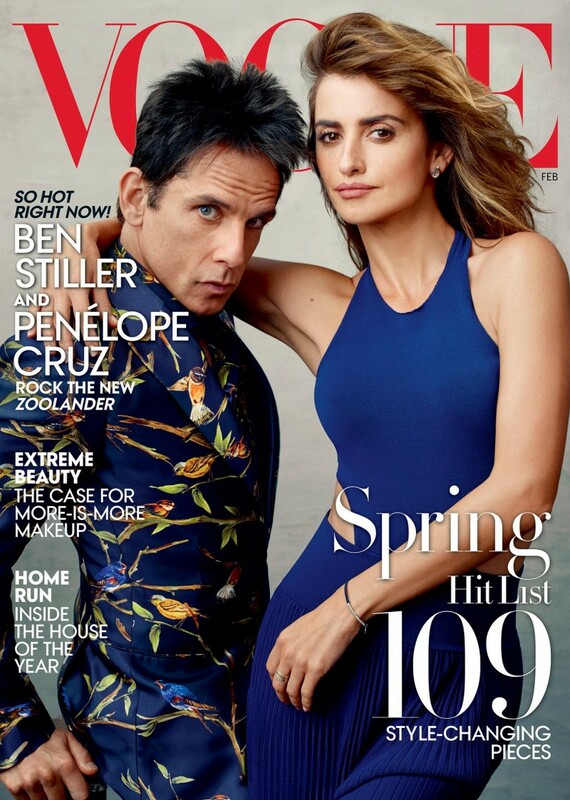 Promoting Zoolander 2, Ben Stiller and Penélope Cruz cover the February 2016 issue of Vogue. The sixth man to cover American Vogue, actor Ben Stiller graces the cover of the magazine's February 2016 issue in character as Derek Zoolander. Promoting the release of Zoolander 2, Stiller is joined by costar Penélope Cruz. 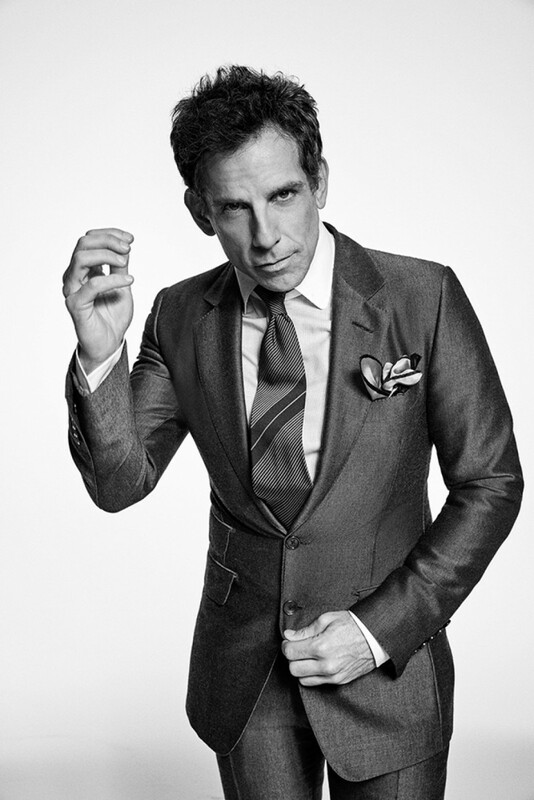 Wearing a tailored Dolce & Gabbana number, Stiller is photographed by Annie Leibovitz. Reflecting on the first Zoolander, Stiller confesses, "We were on our own—both in the fashion world and with the studio, too. They were just like, ‘We don’t quite know what this is.'" 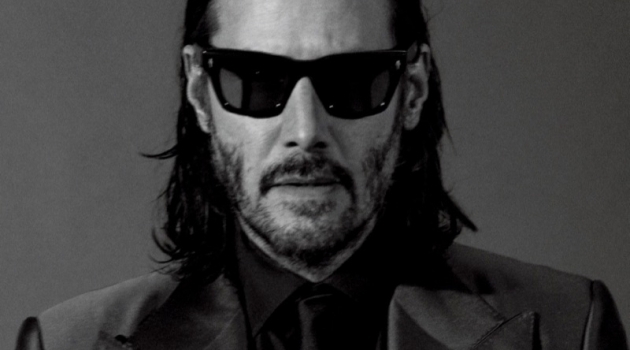 Now, things have changed and the fashion world has embraced the Zoolander franchise with confirmed cameos such as designer Marc Jacobs. Ben Stiller portrays Derek Zoolander as he poses with top models Gigi Hadid, Jourdan Dunn and Joan Smalls for Vogue. Ben Stiller and Penélope Cruz recreate a famous Helmut Newton image for Vogue. Derek Zoolander (Ben Stiller) takes part in a fitting with designer Alexander Wang. Ben Stiller photographed with designers Karl Lagerfeld and Hedi Slimane for Vogue's October 2001 issue. Ben Stiller's February 2016 cover for Vogue is not his first stint with photographer Annie Leibovitz. Promoting Zoolander in 2001, Stiller appeared as himself in a cheeky fashion shoot. 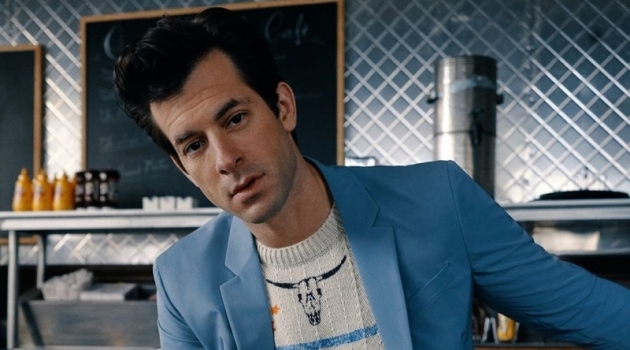 The juxtaposition of the glamorous fashion world and Stiller as an actor included appearances from designers Hedi Slimane and Karl Lagerfeld. Photographed by Annie Leibovitz, Ben Stiller poses with top models for Vogue. Ben Stiller covers the February 2016 issue of L'Uomo Vogue. 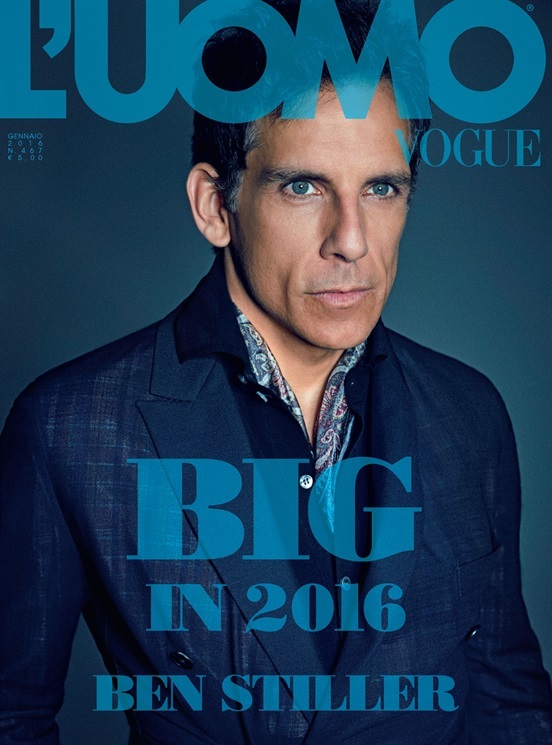 Embracing quite the promotion tour, Zoolander 2 star Ben Stiller covers the February 2016 issue of L'Uomo Vogue. Cleaning up in sharp suiting and trendy fashion pieces, Stiller connects with photographer Francesco Carrozzini for a portrait series. Ben Stiller photographed by Francesco Carrozzini for L'Uomo Vogue.